When you explore in unconventional way ,the challenging perspectives appear immediately. 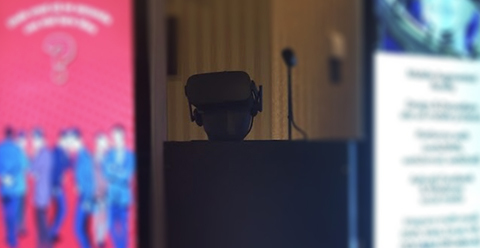 The activations with VR glasses brought to the foreground strong sensations and they place the user in the midst of events. The content is particularly important and makes the difference between an unusual experience and an unique one. The transposition of the user in a size where his senses are intense required It is a guarantee that the experience will be not overlooked. We set up a videowall that made a video display with the streets of New York. We located , in front of videowall, a bogus taxi like a real one from New York(yellow cab). People ''were taking'' the taxi to begin his journey, in New York style, toward a memorable evening. 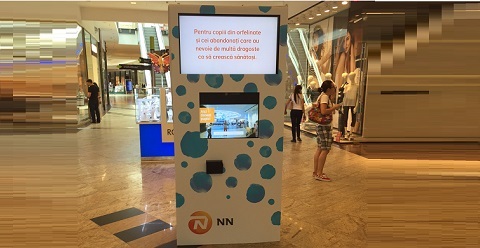 Nearby was installed a Touch Digital Totem which display in real time the experience of the participants, recording at the same time the moment : Make-up in town for each of those who went to the steering wheel of the car which operate on the basis of the impulse ”Make it happen” - brand's slogan. Simple number phone input makes people to receive, via SMS, a link with achieved video and facebook share button.Was automatically generated a link customized for each participant and we had available the option to scan the QR Code to go directly to the link. Who does not like to be in control? What if you could change the landscape in one movement? No, it's not about teleportation. It's more like playing with your imagination using the surrounding elements. You would definitely like to enter in our game if you notice that the decor comes to life with every movement of yours. Want to see? a. Interactive Digital Signage; b. 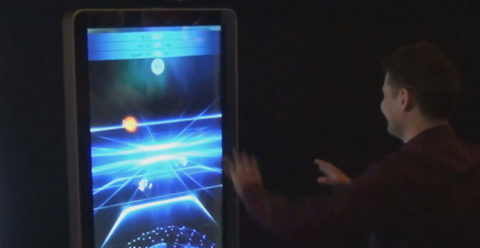 The interactive projection system allows users to interact in real-time with a projected image; c. An interactive and interesting product that combines several elements into a unique system; d. Interactive projection with short-throw projector for space optimization; e. Interactive projection can combine projection elements with touch, kinect, video cameras, motion sensors; f. Can be integrated with interactive showcases using interactive design holographic foil with rear design. In a universe of ideas, not everything that floats can fly to a height. In other words, there are some more appropriate ideas than others. However, the world in our minds is fascinating, ideas get different shapes and gain a place in our focus when our imagination is played. Users have trained their ability to select ideas, but also to catch the best of them. The device is designed to be exposed in public areas, to provide access to information and touch applications, trade, entertainment and education. Can be customized with video camera, thermal printer or photo printer, bar code reader, kinect, motion sensors, audio systems, etc. A wider perspective brings an overall vision which helps you see more clearly the opportunities near you. If you have ever been in a journey around you, we invite you in the middle of our carousel. 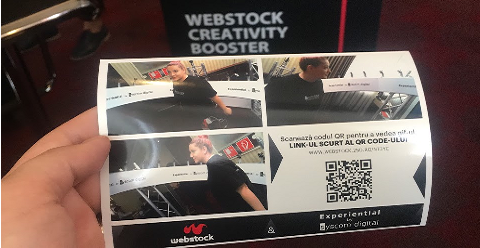 Those who have been to Webstock have been given the opportunity to be analyzed from several angles, revealing in a fun way that solutions do not go unnoticed when the attention going round the situation. Who does not like to be in the leading role, to be in the spotlight and be surprised by the dozens of cameras and flashs at the same time? 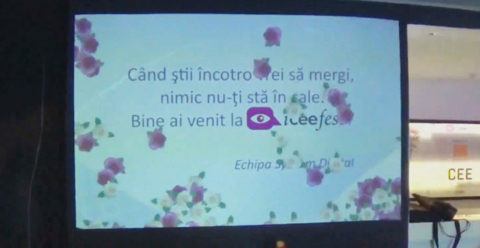 Video, animations and photos as far as one can see ... all you can have in real time to event and you can distribute on Facebook or via email or SMS to your friends. Additional description is pointless. Look at the images below and you will understand how spectacular can be such a moment.
'' 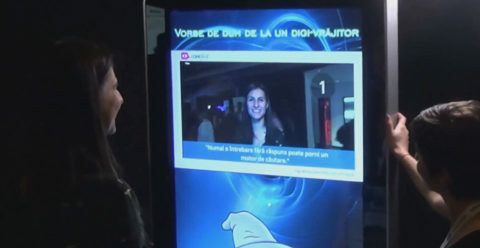 Kisses Machine'' - a custom photobooth, with a display that guides the participant step by step. Kinect for tracking movements and photo printer. The steps to be taken by consumers are : The person sitting in front of the cab. The application identify the face and displays it full of blue dots . When the person transmit kisses unto the camera, the dots disappear. The kisses transmitted are actually some amounts of money who is donated to the orphanage, the message being Love heal the best. And when you share it with others, is coming back to you. You send kisses in all directions and get rid of blue dots. Each kiss turns into a penny which we donate children who need our help. 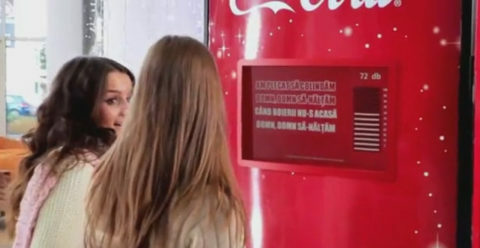 At the end, the machine provides participants with a picture in which the dots on their face. The components of '' Kisses Machine'' : custom Photobooth - Two versions of the display, a photo printer, Kinect for face recognition and for records the movement of the sent kisses. In the future we will be able to decorate the walls or buildings even several times a day with just a few gestures. 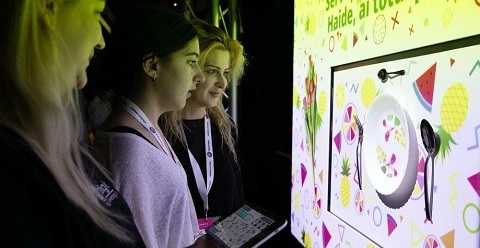 A little example of an interactive wall is the one we had as a demo at ICEEFest, and besides the interest that innovation instigated, it also brought a colorful welcome to the background. It is no secret that the most effective way for a brand to interact with potential buyers is through interactive mechanics. We develop a variety of interactive applications, but we focus on the fact that consumers excited about the experience they have participated in will also have a palpable memory. A perfect example of this would be a photo embellished with graphics and brand elements. The holidays come, the holidays come !!! It is the most cheerful time of the year, but it is also a very good time to get closer to our consumers. We sing together, sometimes we dance, sometimes we do sports ... and finally 'the machine' congratulates us and rewards us. 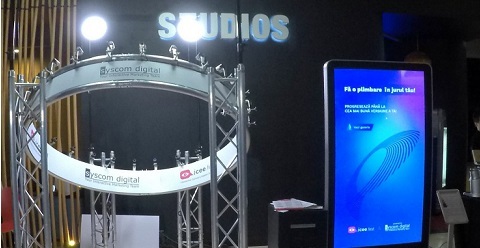 We can do any kind of brand activation. Let your mind play or if you do not let our imagination work. We guarantee fabulous implementations and fabulous experiences!